When it comes to storage while out in your side by side the options to put important belongings can become quite tricky. Whether your looking for a place to put your shades or somewhere to transport your tool kit the options are extremely limited. With a little help from us here at Side by Side Stuff we have a solution for you. We offer you the Rigg Gear Roll Cage Cargo Bag, perfect for those looking to go full throttle and still find their stuff after! Designed with UTV's in mind the Rigg Gear Roll Cage Cargo Bag fits most side by sides with ease. Using an adjustable and yet secure mounting system, this cargo bag fits most UTV�s roll cages for that universal fit. 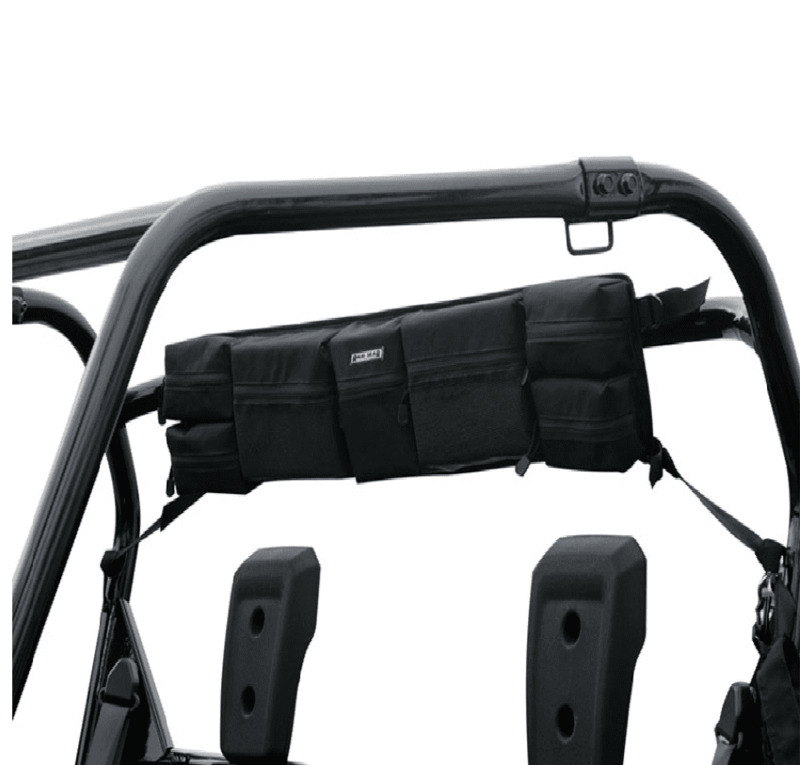 Thanks to Rigg Gear�s dedication to quality, this particular storage system has seven individual zippered pockets to help keep your belongings secured when out in your UTV. If you are in the market to add some storage to your Side by Side this would be one way to do just that! Available here at Side by Side Stuff, grab one of these Rigg Gear Roll Cage Bags today and ride organized!